At Bristol Dental Clinic, we understand that there are many causes to discoloration and stains. As part of Dr. Laban and Dr. Monica Bontrager’s commitment to providing personalized treatment, we offer a specialized microabrasion technique that is ideal for treating fluorosis and demineralization, both of which affect the way your tooth enamel looks. We combine microabrasion with MI Paste™, a patented medicated paste that helps remineralize your smile. Microabrasion is gentle, fast, and easy to complete. When you visit our office, we will sit you down in one of our comfortable dental chairs and apply MI Paste to the surface of your teeth. After allowing it to sit for a few minutes, our dentists will gently buff away the paste. This technique is also ideal for helping to prepare the tooth for other treatment options that require bonding or the use of dental cement. MI Paste can even be used to decrease tooth sensitivity after teeth whitening. 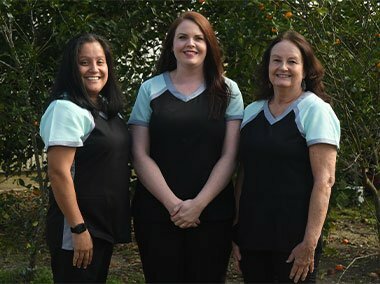 We will help determine how MI Paste in Bristol, Florida, can best be used to improve both the beauty and function of your smile. If you would like to learn more about this technique, we encourage you to call or visit our dental office today. We would love to answer all of your questions about MI Paste, microabrasion, and how we strive to take care of your smile. We hope to hear from you soon!